Brightening anti-oxidant serum with Vitamin C for skin for wrinkles, loss of firmness and lack of luminosity. Specifically formulated to combat the visible signs of aging. 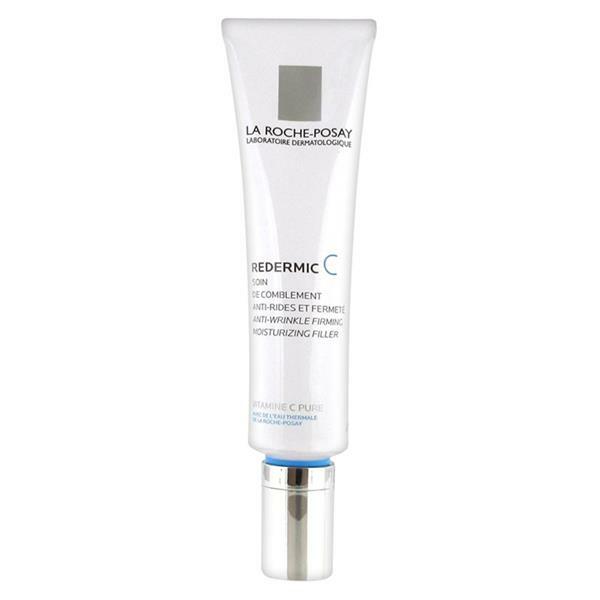 This quickly absorbed and easy to apply cream reduces the appearance of wrinkles and crows feet, improves the appearance of skin firmness and intensely hydrates. Specifically formulated for sensitive skin. 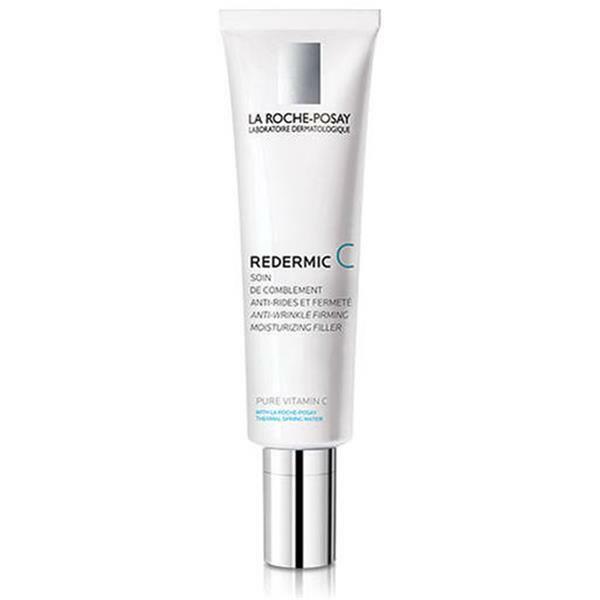 Redermic C10 combines 10% pure Vitamin C in its most soluble and effective form, with Vitamin E and Hyaluronic acid for an intense corrective action day after day. Suitable for people with sensitivity to nickel. Redermic C10 has been through rigorous dermatological testing to ensure it is suitable for use on even the most sensitive skin. The minimalist formula contains no preservatives, no fragrance, no parabens, no colourants and no lanolin. It is hypoallergenic and non-comedogenic (won't block pores). Apply in the morning to face and neck. Avoid the eye contour. Particularly active, pure Vitamin C can react on contact with the air, causing it to turn yellow, which is a sign off its anti oxidizing hyper-activity. This does not impair its tolerance or efficacy. After each use thoroughly wipe the tube's opening before resealing the cap. Avoid immediate contact with textiles and wash hands following application. Pure Vitamin C is particularly active and can react on contact with the air causing it to turn yellow. This is a sign of its anti-oxidising hyper-activity. This does not impair its tolerance or efficacy. Aqua/Water,Ascorbic Acid,Dimethicone,C12-15 Alkyl Benzoate,Glycerin,Ethylhexyl Palmitate,Potassium Hydroxide,Cetyl Alcohol,PEG-100 Stearate,Glyceryl Stearate,Sodium Stryene/MA Copolymer,Dimethicone / Vinyl Dimethiconol,Sodium Hyalurate,Ammonium Polycryldimethyl Tauramide/ Ammonium Polycryldimethyl Taurate,Disodium EDTA,Caprylyl Glycole,Biosaccharide Gum-1,Xanthan Gum,Acrylonitrile / Methyl Methacrylate / Vinylidene Chloride Copolymer,Tocopheryl Acetate,Phenoxyethanol,Parfum / Fragrance.